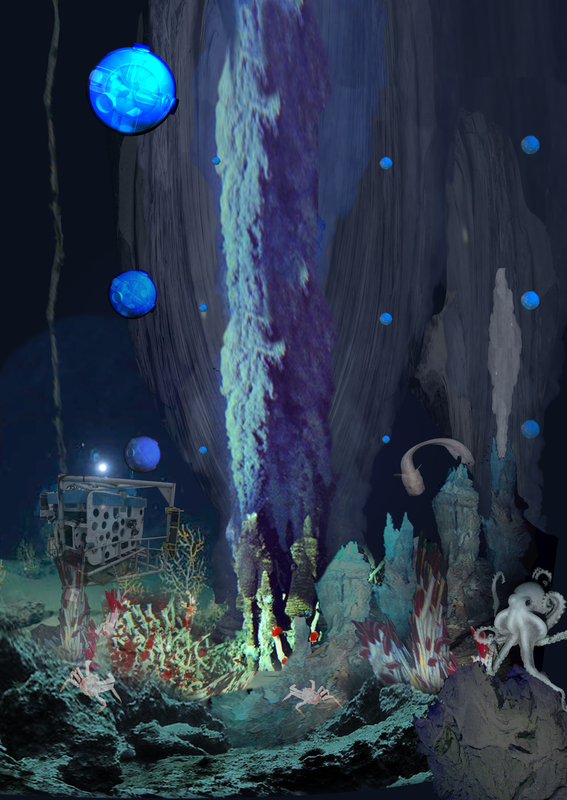 Strings of positively buoyant Sensorbots form a sensor screen around hydrothermal vents to monitor plume dynamics. 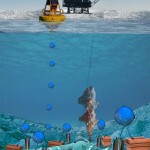 Feedthrough ports allow external sensor and battery connections for long term continuous monitoring of oil pipelines. Sensor blankets can detect turbidity changes over large areas simultaneously to protect sensitive areas. 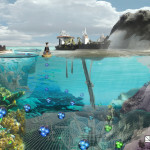 In situ power generation and ad-hoc connectivity create a wireless underwater internet. 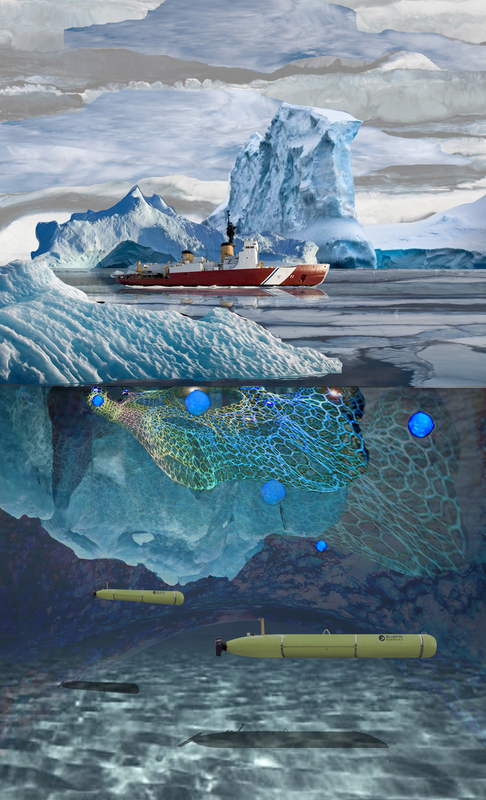 Wireless optical links remain stable even through shifting ice pack to facilitate data links with sub-ice AUV fleets. 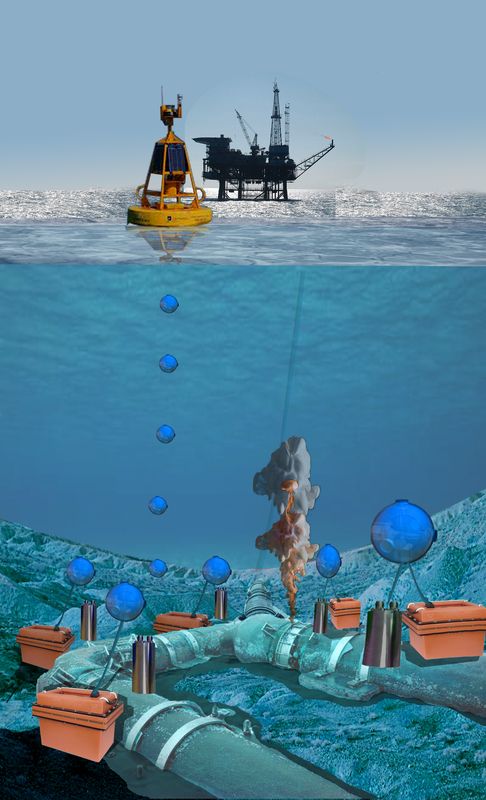 Our technology enables high-speed data transfer between a moored profiler and its sub-surface float to minimize downtime due to data transfer. 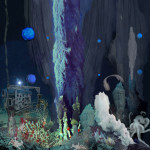 Networks on the ocean floor can be installed to facilitate the transmission of large amounts of data to the surface. 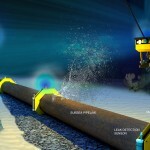 Underwater oil & gas pipelines can be monitored continuously with an optical communication network. 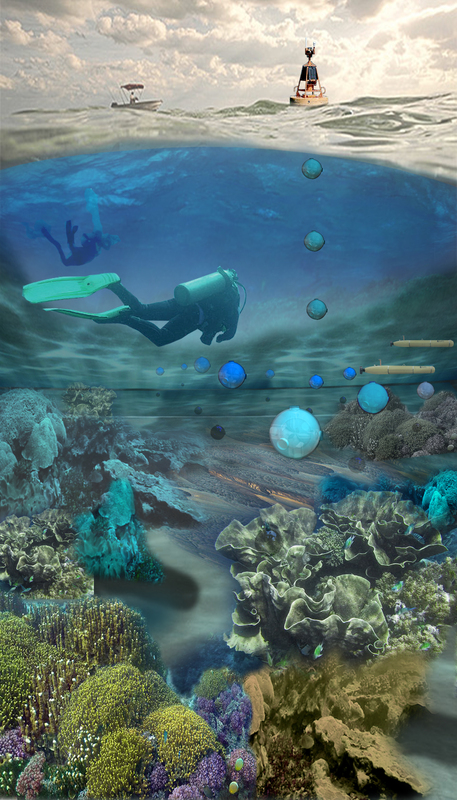 Fundamentally based on low-power, wireless network communications, UON Technologies opens up transformative possibilities in underwater sensing and communications. 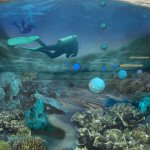 Explore the images above to get application ideas. Sensor networks are useful for detecting changing conditions as they occur simultaneously over a wide range of physical scales. 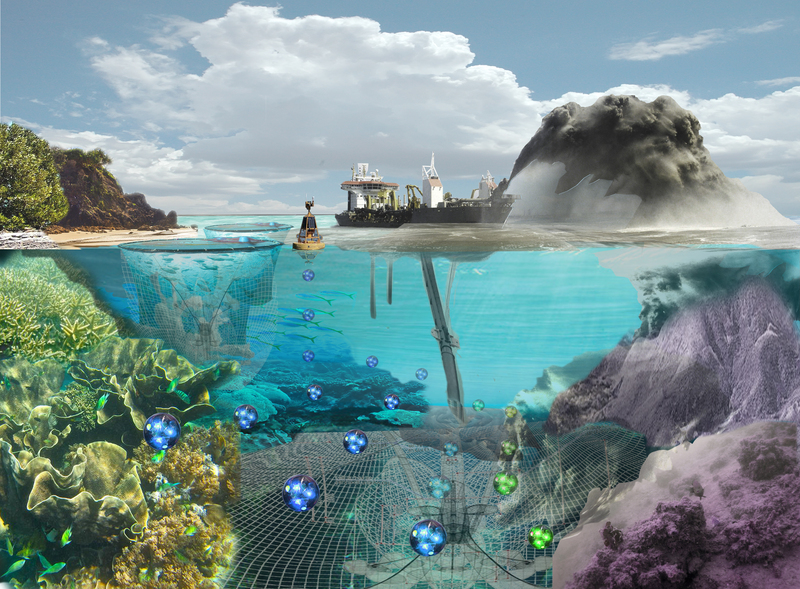 Different from remote sensing approaches, which only capture information from surface observations, sensor networks are an in situ alternative to serial point detection by mobile ROV or AUV platforms. Networks are also distinguished from array technology in which each node operates independently, whereas networks operate in coordinated ways. 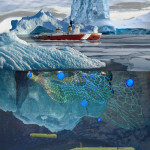 With the benefit of UON’s ad-hoc optical communications hardware and protocol, swarms of underwater robots may dynamically coordinate their behaviors. 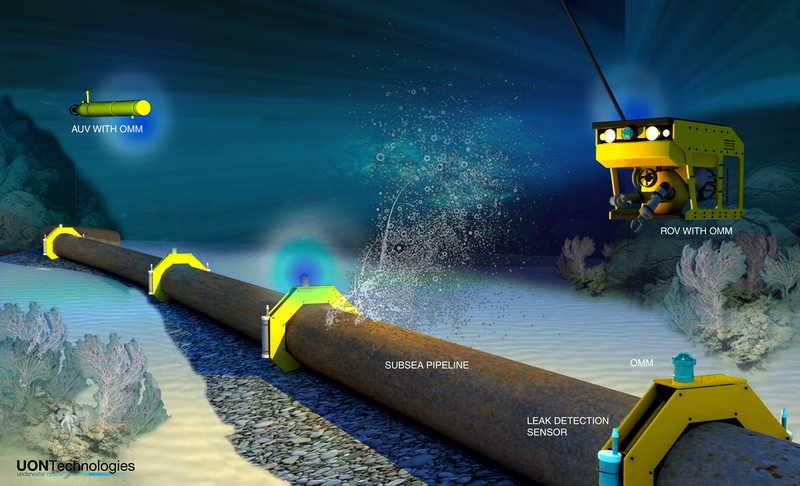 Network-based monitoring and methods not only open up new detection possibilities, they greatly reduce off-shore operations costs by creating omnipresent blanket sensing that can be wirelessly accessed from a single location.